Sphagnum moss is an excellent growing medium for trees with weak roots and yamadori/collected trees but it also has been associated with a potentially lethal fungal infection. 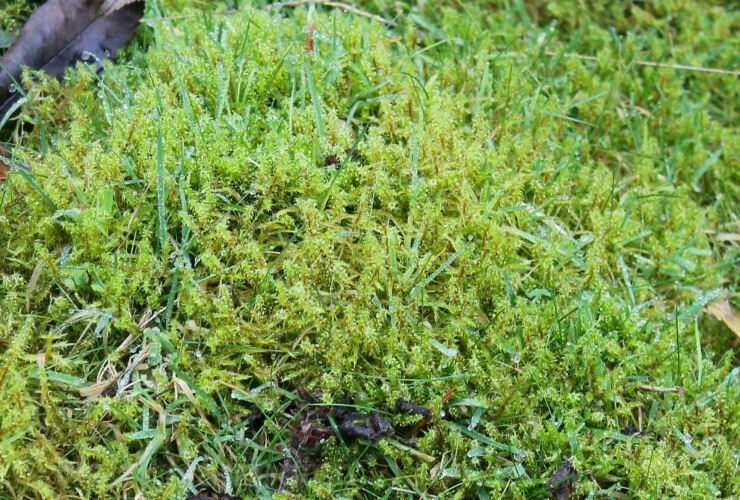 This article discusses the advantages of using Sphagnum Moss and the possible dangers. Sphagnum moss growing in an area of wet, boggy land. Native grasses can be seen growing up through the moss. Whilst Sphagnum is a moss, not all mosses are sphagnum. Sphagnum moss is the long stranded moss that is often used by gardeners to line hanging baskets and for air-layering plants. "Sphagnum peat" is decayed and decomposed sphagnum moss, and for the purposes of this article, should not be confused with live Sphagnum. A single sphagnum moss plant is very small. It grows packed closely together with many other plants of the same kind and they provide support for each other's tiny stems. This produces a soft, spongy carpet ranging in colour from red through to green. Different kinds of sphagnum moss are adapted to different conditions. Some grow underwater in pools and wet hollows. Others can survive in relatively dry conditions. Sphagnum moss acts like a sponge and can stay wet for long periods. It can soak up more than eight times its own weight in water and will stay wet long after the surrounding ground has dried. Mosses do not produce flowers or seeds. They grow from spores that are produced in fruiting bodies called capsules. In sphagnum, when the spores are ripe, pressure builds up inside the capsule until its lid is blown off, dispersing into the air. Since sphagnum moss has many very useful properties that can be used for bonsai cultivation and is widely used by enthusiasts, how seriously should the above warning be taken? Sporotrichosis is a fungal infection that usually affects the skin. It is mainly an occupational disease of farmers, gardeners, and horticulturists. Though the fungus that carries sporotrichosis is found in sphagnum moss, it should be noted that it also occurs and can be transmitted into cuts in human skin via soil, hay, barbed wire, pine needles, thorns (particularly those of the Rose family such as Rose species and Hawthorn) and other plant materials. It has also been found growing on plant debris in soil and on the bark of trees and shrubs, (wild and cultivated). The threat of Sporotrichosis is certainly not limited to just Sphagnum Moss. It should also be understood that not all Sphagnum moss carries Sporotrichosis. According to reports by the Wisconsin Division of Health, Bureau of Community Health and Prevention (BCHP), in 1981 a diagnosis of sporotrichosis was found in two brothers employed at a garden centre in Wisconsin. An investigation of the garden centre by the BCHP revealed two additional cases of sporotrichosis among the employees. The garden centre had sixteen workers make funeral wreaths during the Winter of 1980. The sphagnum moss used was harvested from bogs located in central Wisconsin and was purchased from one wholesale dealer. Of seven male workers regularly involved in making the wreaths, four developed sporotrichosis. However, in an investigation of a local cemetery where 12 employees produced 2,000-3,000 wreaths per autumn using sphagnum moss purchased from the same Wisconsin supplier, no additional cases were noted. It appeared that the source of the outbreak was limited to just one bad batch of Sphagnum from a wholesale dealer who had also supplied countless quantities of Sphagnum free of Sporotrichosis. It would appear that in the majority of cases such as this one, Sphagnum carry the fungus causing Sporotrichosis is the exception rather than the rule. Most Sporotrichosis infections are limited to the skin. Cases of joint, lung, and central nervous system infection have occurred but are very rare. The first symptom of Sporotrichosis is usually a small painless bump that looks like an insect bite. It can be red, pink, or purple. The bump usually appears on the finger, hand, or arm where the fungus first entered through a break in the skin. This is followed by one or more additional bumps that open, might look like boils, and are very slow to heal. The first skin bump can appear any time from 1 to 12 weeks after exposure to the fungus, but usually within 3 weeks. Until recently, sporotrichosis was treated with potassium iodide, however a new drug Sporanox is now used for treatment because it causes fewer side effects than potassium iodide. Treatment can often take several weeks until the skin sores are completely healed. Bear in mind that the risk of Sporotrichosis is very small; in the US the incidence of infection is not precisely known but is estimated at only 1-2 cases per million people. An estimated 200-250 cases occur per year. Statistically speaking, it is more dangerous to cross the road. I handle soil, trees, sphagnum moss on a daily basis and have done for a number of years without incident as have many other enthusiasts, nurserymen and gardeners, however I am duty bound to advise that where possible, wear gloves and long sleeves when handling wires, rose bushes, hay bales, pine seedlings, or other materials that can prick the skin on a continual or daily basis. If you have broken areas of skin, avoid prolonged direct contact with soils, sphagnum moss and similar materials. So why use sphagnum moss for bonsai? Sphagnum moss has excellent water retention properties, however unlike sphagnum peat, in its live form it is able to retain its open structure and so is fast draining and well aerated; perfect for growing bonsai. Less well known is that Sphagnum moss contains a high zinc content in the form of a naturally occurring antibiotic called Tropolene. The anaerobic bacteria that cause decay in wood are nullified by the antiseptic properties of Sphagnum. Hence, pure Sphagnum (without the addition of any other organic material) is an ideal medium for re-invigorating weak trees, recently collected trees and trees with root-rot. The antiseptic properties of Sphagnum moss have been known for centuries. In historic times it was used in bandages to soak up blood, there are also accounts of Sphagnum moss being used for the same purpose during the First World War. It should be noted that Sphagnum moss is slightly acidic. Though invaluable for air layering and rejuvenating weak trees, Sphagnum is not normally used as the principle soil medium for the majority of trees in a bonsai collection. Sphagnum continues to grow in the bonsai pot; though not a threat to the well being of the bonsai, it will cover the entire surface of the pot and its appearance is not as satisfactory as traditional soil. Small amounts of Sphagnum moss can be added to inorganic soil mixes such as akadama, seramis, turface and grit to provide a stable organic ingredient and to add additional colour to the foliage of coniferous species such as Junipers and Pines. It is also very useful to 'bulk out' and reduce the expense of a soil mix when repotting large bonsai in akadama, seramis or turface (if the Sphagnum is freely available). I would hesitate using a large proportion of Sphagnum with organic soil components such as peat; there is a possibility that the combination of Sphagnum and organic soil could be too water retentive. 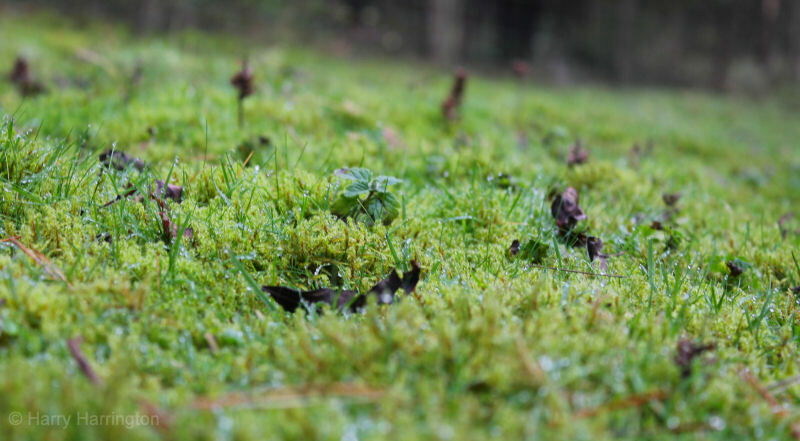 If Sphagnum is available to collect from local areas be responsible, rather than remove all of the moss in one small area of a bog or wetland, take small amounts from a range of places; this way the mosses are able to recover and replace the harvested moss quickly. The Sphagnum may not be able to grow back if an area is stripped back to the soil. The sphagnum will contain insects, good and bad; spray the moss with a systemic insecticide to kill any bugs that could cause damage to your bonsai in the future.